One December night in 1957 when I was six years old and living in Jupiter, Florida I saw a face peering in my ground floor bedroom window. There was a lighted lamp in front of the window and it illuminated the face peering in. The face was that of what I would much later learn to be that of a typical 'Grey alien'; a long, oval grey face with no visible nose or ears, but with large black almond shaped eyes. I saw the face for about ten or fifteen seconds before it moved down and away. I was scared and had trouble getting to sleep. I never told anyone about it because I rationalized that it was probably just a neighbor kid wearing an old Halloween mask fooling around, and because I did not think I would be believed. Of course in 1957 the 'alien Grey' appearance was not in the public consciousness so I did not associate my experience to be one with an alien entity. I have no idea what I saw or if I truly saw something because I was only six years old and perhaps I imagined the whole thing or I experienced a 'sleep paralysis' related type of event. Nonetheless it is curious that I believe I saw what I now know to be a Grey alien face rather than say a 1950's science fiction or horror movie trope face such as a 'robot from outer space' face or the face of Frankenstein's monster because I had no idea what a Grey alien was in 1957. One moonless night in July of 1970 a friend and I were on the beach in Westhampton Beach, NY. We had been on the beach for about an hour and our eyes were accustomed to the night sky. It was a fairly clear night sky considering that most summer nights on the east end of Long Island tend to be foggy or cloudy. We had seen both commercial and military aircraft in the sky that night, in 1970 the Air Force base in Westhampton trained fighter pilots for Vietnam and also operated search-and-rescue airplanes and helicopters, so we were very familiar with what lights normally appeared that night. We were facing south towards the ocean. All of a sudden I noticed a very bright white light to the west, my right, about 30 degrees over the horizon, roughly 2-3 miles out to sea and about 8-10 miles to the west. I knew it was 8-10 miles away because it was in line with a lighthouse I knew to be in that location. I poked my friend who was on my left side and said, "Hey, what's that white light in the sky to the right?". Almost as soon as my friend turned his head to look where I had indicated the white light moved at an incredible speed in a straight line to a spot over the ocean about 2-3 miles out and almost directly in front of us and still about 30 degrees over the water and it just stopped and hovered there. We both started laughing and simultaneously said words to the effect of, "Holy s***, that's a UFO we're looking at!" The light cast no beam and was the whitest light I have ever seen. At the time I thought it looked like a 10+ million candlepower driving light that did not cast a beam just sitting in the sky. The light hovered there for a few seconds and,after a slight movement back towards the west, in the blink of an eye it continued to the east in a straight line and once again stopped and hovered at a point that I calculated to be off of one of the beaches in East Hampton about 12-15 miles away. It hovered there for about another 2-3 seconds before shooting 90 degrees straight up at an unbelievable speed and disappearing. Our entire sighting lasted less than 10 seconds during which time the light hovered for about 8 seconds and moved 20-25 miles horizontally and God knows how many miles vertically. Tangentially, I was watching THE MERV GRIFFIN SHOW one night in the late 1960's or early 1970's when his on-air sidekick Arthur Treacher casually mentioned that over the weekend he had visited Westhampton Beach and witnessed a UFO land on the beach in front of the hotel where he was staying. Much audience laughter and many jokes about his drinking. Additionally, the flight path of the UFO I mention in this story was exactly that of the one taken by TWA flight 800 in 1986 albeit at a much lower altitude. When I first heard about TWA 800 and recalled how incredibly fast the light I saw in 1970 had shot straight up before disappearing I thought to myself that if the light I saw in 1970 had any mass it would have totally obliterated any object in its path. One night in 1994 I was driving my wife and three sons back from a trip to upstate NY to our home in Manhasset, Long Island. It had been a long trip and it was about midnight. Everyone in the car was asleep, or so I thought. About two blocks away from our suburban home I glanced to my left for about 2-3 seconds and saw what looked to me like the right tail corner of a huge black triangle, its edges lit by an untold number of multicolored lights. Judging by the piece of it I saw the triangle must have been at least a thousand feet long and cruising at just above treetop level at around 30 MPH right down the middle of the well populated street parallel to the one we were on. It's impossible, I thought, my eyes must be tired from driving and watching car lights for five hours! I continued home and was in my garage two minutes later. When we were getting our boys out of the car my seven year old looked at me and said, "Daddy, what were those bright lights over the trees on Bonnie Heights Road?". I was shaken, but told him it was nothing and that he was probably just dreaming and thought he was awake. Now that he's older we often speculate about what we saw. On the night of 8/18/14 at our house in Southampton, NY my wife called out to me in our bedroom from the adjoining bathroom. "Look at that orange light in the eastern sky!". I went out onto the eastern facing, second floor porch off our master bedroom. To the southeast I saw a glowing, dull orange colored bell shaped object traveling very slowly from the east to the west seemingly parallel to the beaches of Southampton Village 3 miles to the south. The orange glowing object was shaped exactly like the Liberty Bell and about the size of a small plane such as a Cessna, not that it looked like an aircraft at all just that it was roughly Cessna sized if the Cessna was somehow reshaped into a bell shape. There was no sound. As I had recently seen quite a few Fourth of July celebrations I knew what both fireworks and, more importantly, floating Chinese paper lanterns looked like and the object we saw looked like neither of them. It traveled much faster than a Chinese lantern carried by the wind would and much slower than the stall speed of light aircraft, about 50-60 MPH. It wasn't very high in the sky, perhaps 300 feet. I remember thinking how the village would be abuzz tomorrow with talk of the previous night's orange bell, but I never heard anyone ever talk about it! By this time my wife had joined me on the porch and we watched the object move at a consistent speed to the west until our view to the south was obscured by large group of very tall trees close by our property. I reported the sighting to MUFON, case #59187. We did not wish to be interviewed, but I did exchange several emails about the sighting with the MUFON investigator. Several months later I saw online that our case was reported in the MUFON Journal. I much later saw what might have been the object we saw in a YouTube video shot by another Long Islander on the same night, but in a location about 30-40 miles west of us. It might still be online. 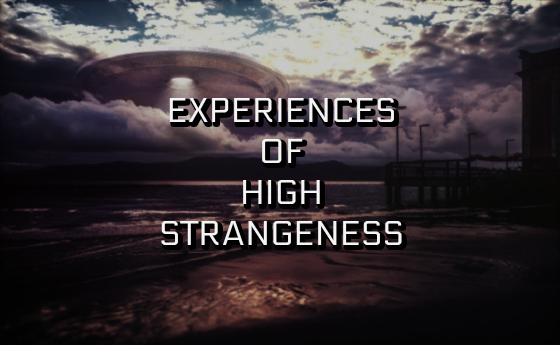 Thanks for the chance for me to revisit my episodes of high strangeness and to compile them all for the first time. Lastly, and for what it's worth, my opinion of my encounters is that reality is not only far more complex than traditional science recognizes it to be, but also that its true nature may be beyond the capability of the human mind to fully comprehend. Keep up your excellent research and reporting and may good health be your constant companion.